During the month of July I went back to my old habit of rereading a few favorites. Actually, this year, I have been rereading at least one favorite book per month. It is an old habit that keeps me grounded in my reading and that has always been more than enjoyable because there are always details to discover or rediscover in those old (or new) favorites. As you will see below, I read some of these books a long time ago and others recently. I don't remember when I read Duchess by Night by Eloisa James but I know it was before I began blogging in 2009. I read and reread Fair Game by Josh Lanyon back in November of 2010, but have not reread it since. 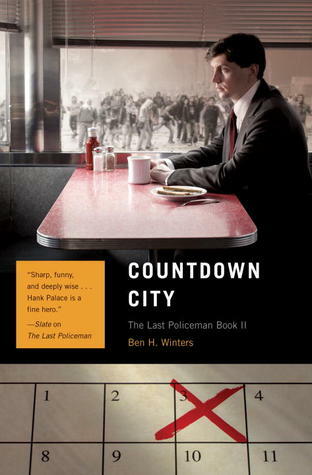 Countdown City by Ben H. Winters is a 2013 summer read, and the most recent read is Ancillary Justice by Ann Leckie, from January 2014. I had to reread Ancillary Justice. I am really looking forward to the second book of the series Ancillary Sword and wanted to take my time with a reread. There were a few thoughts that crossed my mind when I finished my reread (much has already been discussed about how Leckie approaches gender in this novel -- all characters are referred to as "she"), but there was another thought that kept coming back. In my original review I mention how "emotions," particularly those coming from an AI (artificial intelligence), surprised me. But really, it's more than just the emotional impact, it is how well Leckie weaves in interpersonal relationships throughout this space opera. And, that is it. It's not just Breq's sense of self -- Justice of Toren/One Esk/Breq -- and how broken he feels or how he interacts with Station or other ships, recognizing a part of himself, but how he interacts and develops a close bond with Lieutenant Awn before the break. More importantly, however, it is the slower and deeper bond that reluctantly develops between Breq and Captain Seivarden Vendaai -- two broken individuals. There are other relationships such as the one with Lieutenant Skaaiat Awer that are brief and built on "solidarity." These are all fantastic examples of the core interpersonal relationships that make this book such an excellent read, but there is more. Leckie also uses interpersonal relationships to build the foundation for the Radch civilization's cultural and social structure. For example: a person from a powerful House offering clientage to a person from a House in a lower social position is both a business transaction and a social/personal commitment. This is the basis in which the Radch's society functions. Clientage then becomes a way to forge "intimate" relationships, but with power and social standing playing the more significant role. Leckie then uses changes taking place in the Radch's cultural and social structure, the struggle for power, social standing and/or the status quo in how those basic interpersonal relationships develop within that structure as the main impetus for her conflict. These are just a few (condensed) stray thoughts, read the book for more. I read Countdown City last year and decided to reread it in July before picking up the last book of the trilogy. I never reviewed it and didn't post it as read! Well, I don't know what happened, but this second book is great. It begins a few months after Hank Palace loses his job and is asked to look for his old babysitter's husband who went "bucket list." His sister Nico helps him find clues along the way. I've said before that Hank Palace is the star of this series, even as the pre-apocalyptic world-building is exceptional. This second book is not a disappointment as many middle books tend to be in trilogies. Instead it adds to The Last Policeman with a meaty mystery and by amping up the already tense end-of-times atmosphere created in that first book. Countdown City was a great read that left me salivating for the last book of the series. Additionally, it is a must read because details and characters introduced here are key to the last installment. 1) Regardless of the fact that Harriet is a widow and Jem is a widower and single father there is a certain joyfulness to this romance that makes me smile. 2) I love that Jem Strange is immediately attracted to Harriet as Harry, and that although he tries to get rid of that attraction and attempts to make a "man" out of Harry, there comes a moment when he accepts the fact that he's just attracted. 3) I found it interesting that Harriet discovered her female confidence and beauty while dressing and acting out the role of a man. 4) The romance between Harry/Harriet's and Jem is filled with sexual tension and passion. 5) I love Villiers' character period, but I love that his secondary role in this novel is meaningful without the necessity of him having to play the fool or the villain. Fair Game is another reread. I decided to look for a book by Josh Lanyon that typifies what I think of as one of his best. 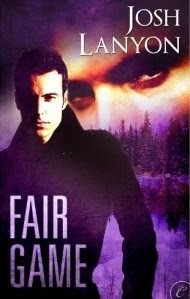 I initially gave Fair Game a B because I think during that time everything I read by Lanyon was compared to the Adrien English mysteries and suffered by the comparison, however if you read that review it is obvious that I really enjoyed the book, so my grade goes up to a B+. Fair Game has it all for me. It has a passionate romance with significant obstacles and fantastic characterization that I really enjoyed during my first read, but that I have come to appreciate even more during rereads. The mystery kept me at the edge of my seat with dangerous action, gruesome moments, and a great ending. I was totally satisfied at the end of this reread. Grades: I don't remember my initial grade for Duchess by Night, but it's definitely a B+ now. 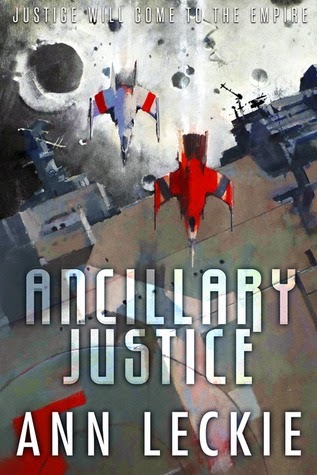 Fair Game changed for the better, and both Ancillary Justice (A) and Countdown City stay the same. I will return with more of my summer reading updates -- new releases and contemporary romance reads -- later this week. Also, I can't believe the Eloisa James was published that long ago! I loved that series. Li, I know! I've reread the AE series by Lanyon countless times now and it always holds up for me. I'm so glad I went back to reread Fair Game, after all this time it was just better.